572 total shares. Be the next! 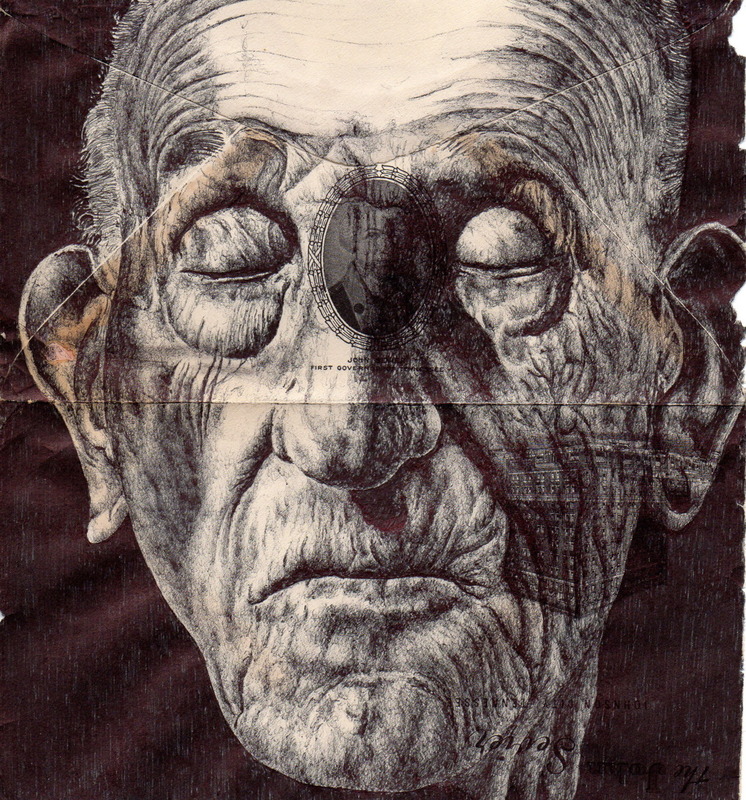 London-based artist Mark Powell reuses old envelopes as canvases to produce incredible life-like drawings. 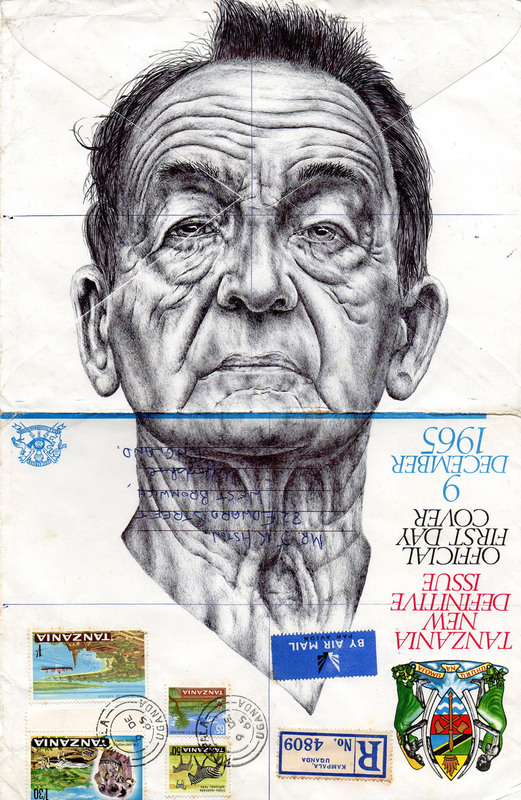 His sketches are made using only a Biro pen, and they often incorporate original stamps and postage marks. By recycling the envelopes, he is in some way preserving a bit of history and the tales behind the sender. love it dad. reminds me of my own dad. he looked like that. now i am sad. love your work, especially the fact that you take envelopes and make them into pieces of art. your shading is amazing and your sketches are full of emotion. Love your work. Where do I buy a piece of your art. I do portraits myself and I must say that I found these pieces to be absolutely phenomenal work! Also, what Mark mentioned in the article was very insightful. wow I wish I could do that!!! I'm amazed he can do it with a Bic pen!